Mini fascinator for a wedding, a bridesmaid, blue fascinator ceremony, cocktail pillbox. 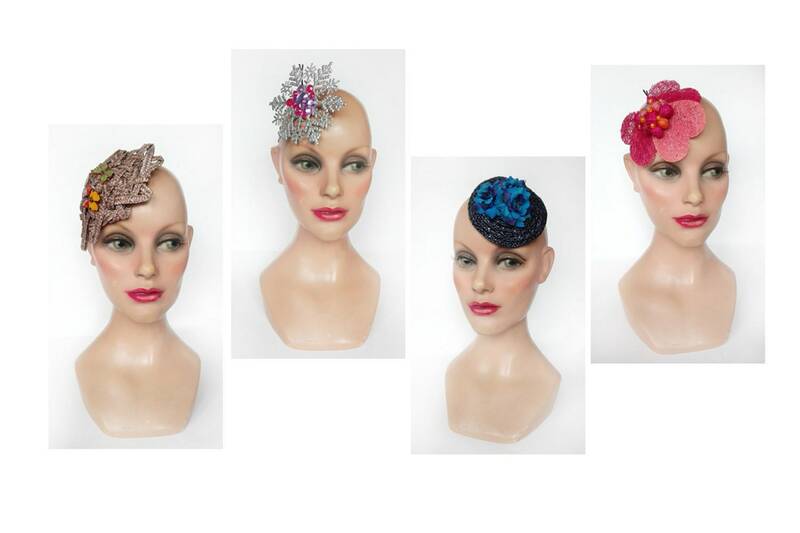 Work variation around a hat that you can wear for many occasions, for a wedding, engagement, cocktail, evening moonlight... or gift for a suggestion loved. Purple version:: pillbox hat made of purple color natural straw braid and small painted wooden butterflies. It remains in the hair through a long black hair clip of 7 cm. The diameter of the cuff is about 13/15 cm. The blue version: I present you this little fascinator, fascinator, hatinator, pillbox made straw natural black fancy coasters, vialaton dark blue and blue fabric flower for the trim. The diameter is 10.5 cm and a silver metal hair comb to maintain in the hair. Glamorous, romantic, retro chic revised and updated, perfect to be in time and passed. Pink version: Hat-hair clip made of sisal beads and 2 shades of pink sinanay heart petals and plastic. Work with floral inspiration for this hat that can be worn in all circumstances. The diameter of the cuff is approximately 11 cm. The silver version: glamorous fascinator, bling bling. A star-snowflake PVC covered with silver glitter and a collage of pink, purple rhinestones made this fascinator. Its diameter is 11 cm and a black hair clip of 7 cm allows to fix in the hair. I thank you for visiting and remains at your disposal to answer your questions.